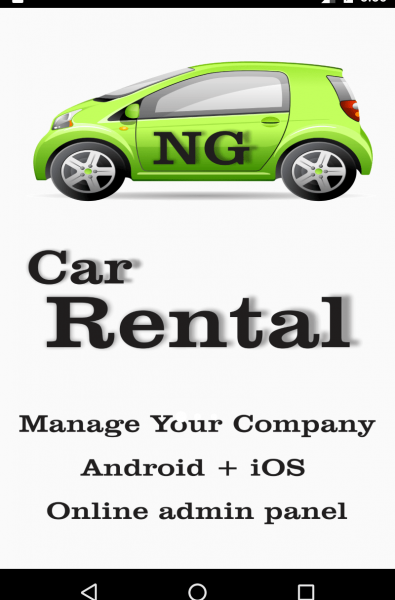 Car Rental Android App is native source code for Android that helps you build a useful mobile app for your car rental business. It has important features such as searching cars by pick up and drop off information, select multiple options, pay service by PayPal, contact by the direct call. and much more. The data is managed at web site-based Backend which is coded in the PHP script. The data is managed at web site-based Backend which is coded in the PHP script. We are available for all support, reskin and customization request. The iOS version is ready. Just leave your message, we will contact you. Sign up with Facebook, Google, or your email. Signup for free with no monthly or annual fees. No more lines or paperwork. Book the car of your dreams. The owner will confirm or decline your trip within eight hours, but typically it’s much sooner. Book cars instantly on listings with the “Book Instantly” badge. Meet the car owner to pick up the car. Many owners offer delivery, so they may bring it right to you. Walk around the car, show them your license, grab the keys, and drive off into the sunset. Go explore! In the city or the woods, for a few days or a few weeks, rain or shine, grab your shades and go create something to write home about. At the end of your trip, replace the gas you used and meet the owner to drop off the car. Walk around the car again, hand over the keys, give them a high five, and start planning your next adventure.